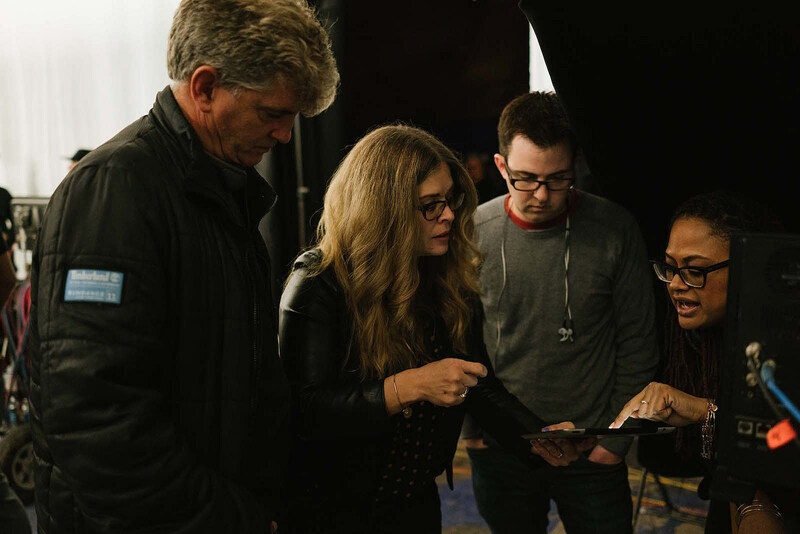 Love is the common thread among classic Disney storytelling, but Jennifer Lee was the screenwriter who breathed new life into the timeless motif four years ago with Frozen. The animated hit-turned-cultural-sensation threw out the hackneyed prince/princess romance for a story about the love between sisters. 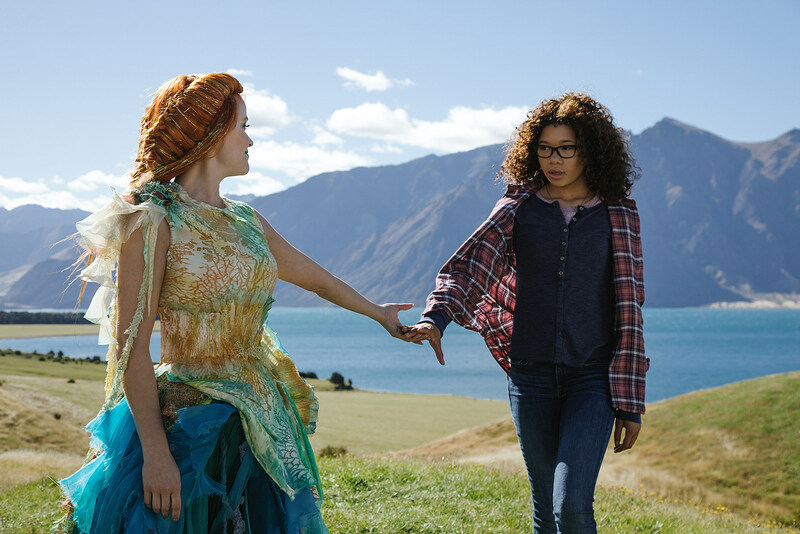 And with Ava DuVernay’s A Wrinkle in Time, Lee once again tells a story celebrating a different take on that four-lettered word: Self-love. Storm Reid plays Meg, a teenager with a soft spot for science who goes on a time-hopping adventure to find her father (Chris Pine), who’s gone missing after attempting to travel across the universe. As an outsider teased by a crew of poplar high school girls, Meg struggles with her self-worth, wishing she could wake up tomorrow as a different person. But after meeting a trio of wise warrior beings – Oprah’s Mrs. Which, Reese Witherspoon’s Mrs. Whatsit, and Mindy Kaling’s Mrs. Who – Meg learns how to love and believe in herself. I spoke with Lee over the phone about adapting Madeleine L’Engle’s beloved 1962 book, which she told me was the very first science-fiction book she read as a young girl. Lee spoke about the importance of telling a story about a girl who learns that she’s enough, working with DuVernay to bring the story’s fantastic worlds to life, and inserting real scientific theory into a family film. Lee, who’s also writing and co-directing the much-anticipated Frozen 2, also told me how that sequel will carry on the legacy of the original movie. I’m curious if you were a fan of the book, or what your familiarity was with it before you got into this project. Oh, I was a huge fan of the book in fact I remember it so well I read it I think when I was about 10 and it was my first science-fiction book I ever read. It was about a young girl who led this search for her father through the universe and it blew me away. I have a huge love of science and cosmology and physics too. So you married them together and it was instantly, you know, one of my favorite books of all time. Coincidentally, when Disney was looking for a writer, my daughter was reading it in her fifth-grade class. So I jumped at the chance, and here we are. So I feel very lucky. How did you channel feeling of excitement for this thing you loved into the screenplay that you wrote? What I try to do, most importantly, was evoke the feelings the book gave me and the feelings people talk about it, because what I knew was it was going to be very difficult adaptation. What was it like to work with Ava and bring such a visual, fantastical world to life onscreen? But in many ways we have the same anchor all the time, which is a journey about a family, and a young girl in search of her father and all the emotional components that go with that. Everything in this universe has to be a reflection of that. And so that would really ground us. It helped us make a big choice, particularly for certain characters like Mrs. Which. And so it was just a lot of really amazing conversations. And then her just bringing back inspiring visuals while I was still doing rewrites and I would just say “Give it to me, anything, anything, I’ll take all of it.” And she’d send me the visuals of the world, and as the cast was coming together, she included me in the process. So the whole thing would feel as one piece. Science-fiction movies, they're so often made for older audiences and adults only. It's rare to see a movie that's so invested in science for younger people. What was it like to bring those elements into a family movie? Gosh, I kept saying “If only I had a film like that when I was a child, I would have tried to become a physicist.” Kids reach up to grab ideas. It doesn’t matter if they’re complex as long as they’re evocative and interesting. The elements of science and science fiction in this are so wondrous. I always say: We don’t write for children, we write for everyone and children will reach out towards something that inspires them. I always kept that in mind, I never pulled back on anything. If anything, I dove in deeper. I left the science at the forefront to show how wondrous it is in and of itself. All of these amazing ideas and these fantastical worlds; look at how grounded they can also be in your life. I love the idea that people who studied Wrinkle in Time can now look back at it with modern science behind it. Science that wasn’t even discovered back in the ’60s when it was written. That just thrills me. Has your daughter had a chance to actually see the movie yet? She hasn’t. She came to the last day of shooting with me. But she wants to see it tomorrow night and she can’t wait. I did show early drafts to her, because I like to read out loud and hear the words out loud and so she would sit and listen to those, and that was really lovely. I used to read to her as a kid and she’s listening to me read, so that was special. She’s excited for tomorrow. With Frozen, you wrote a story that was about sisters’ love and I think with this you tell a different story about love that’s interesting, which is really about self-love and a young girl learning to appreciate herself. What was it like to bring that narrative into this story? It was such an important journey to me because I think it’s part of what made Meg so special to me growing up. I was very aware often in stories where a girl, over the course of her journey, was perfected. She was made more beautiful or made someone else. She evolved into something that was more aspirational, or I should say deemed more aspirational. That’s not the life of most of us. If you’re disheveled, defend your disheveledness at 46. That’s not the measure of a person. A measure of a person is their ability to accept themselves and still engage in the world and never give up and keep trying. Just accept that what they are is enough but they have a role to play. That was huge for me. All these things at time you’d say, I wish I had that wisdom when I was young for all of the hours I’ve spent just criticizing myself when I could have spent it participating in the world. That’ll be great for young audiences to see. I’m so excited about Frozen 2. How is that sequel going to carry on the legacy of the first movie? I’m in that locked down, can’t-say-anything mode, but we’re in the story room every day. But in a fun way [co-director] Chris [Buck] and I, and Bobby [Lopez] and Kristen [Anderson-Lopez] our songwriters, we just grounded ourselves in the characters and the journey that is absolutely true to them. That’s how we’re approaching it, and that's what we'll do. I can’t wait for people to see what we’ve done. I read an interview where Kristen Bell said that you had written journals for the characters of Elsa and Anna when writing the movie. Is that often your process when writing characters? It is and I think it’s a really important part of the process. You have to find their voices and to do that you have to go from inside out. You have to talk about their vulnerabilities. Let them confess to you. The wonderful thing is how much those characters, and even in A Wrinkle in Time, each one of them spoke differently and that’s a good sign. When they can say different things to you and you realize it’s not yourself but it’s who this character is. That’s when you know you’ve found them. With Wrinkle in Time it’s exciting to see a cast with so many great women and of course with Ava on this project and yourself. What was it like to be involved with a project with so many incredible women with both on and off screen? What I love so much is that there was not a moment of doubt in anything any of us did. The support we got for everyone in the studio, any man we worked with on the project had confidence in our abilities to develop this thing, to go richer or deeper to wherever we needed to go to be inspired. And the support of each other, it was one of the most extraordinary collaborations for those reasons.